A breezy mid-length slip of a dress that's the new basic! 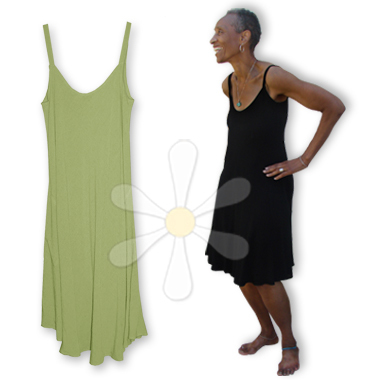 Cut on the bias, it has side-seam pockets and flows to a flirty 130" at the hemline. It's the perfect dress any time, day or night, and layered with any of our Moroccan jackets can be worn any time of year. The luxury of sousde every day? Why not!